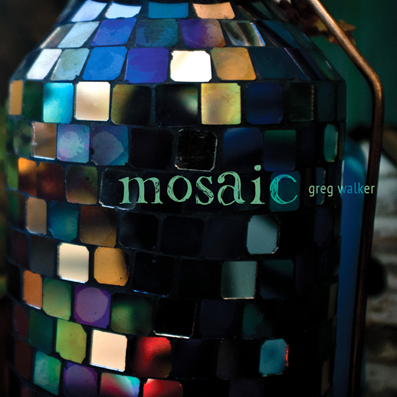 Seven-time multi-category finalist and semi-finalist in the internationally renowned UK Songwriting Contest in categories as diverse as instrumental, acoustic, pop and jazz & blues, Greg Walker’s jazz and latin-infused instrumentals helped his albums Straight From The Source 1 and Straight From The Source 2 achieve success in the mp3 Jazz and Brazilian jazz charts, with SFTS1 holding the no.1 slot for several weeks during the mid-2000s. Described by one reviewer as ‘superbly crafted and eminently listenable, with lyrical tunes making this the consummate second album’, Straight From The Source 2 was released in 2006, with the track I Should Know By Now also reaching the finals of the Instrumental category in that year’s UK Songwriting Contest. End Of Summer (2012) and Mosaic (2015) again feature tracks that have reached the semi-finals and finals in the UK Songwriting Contest. All albums are available to download from Apple iTunes, Amazon, www.cdbaby.com, GooglePlay, 7Digital and many other online distributors. Greg also co-wrote the soul dancefloor hit, Second Opinion (performed by Victor Haynes and included on the album Soul Togetherness 2009, together with tracks by Chaka Khan, Incognito and others). Greg Walker Music is published by Mustard Music Publishing Ltd: www.mustardmusic.co.uk – please contact them for licensing information.